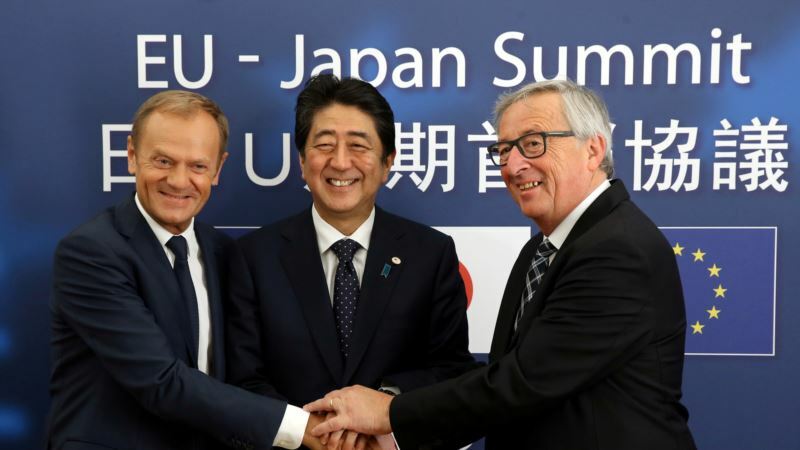 EU-Japan Trade Deal Clears Hurdle on Way to 2019 Start - Integration Through Media ....! (VOA): European Union and Japanese plans to form the world's largest free trade area cleared a significant hurdle Monday when EU lawmakers specializing in trade backed a deal that could enter force next year. The European Parliament's international trade committee voted 25 in favor to 10 against to clear the deal for a final vote in the parliament's full chamber set for December 13. Japan had been part of the 12-nation Trans-Pacific Partnership that Trump rejected on his first day in office, turning Tokyo's focus to other potential partners – such as the European Union. Belgium's regions have given their backing.